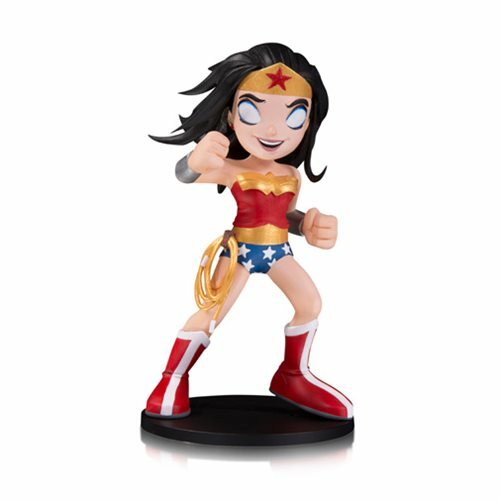 Shopping for Wonder Woman Vinyl Figures? Gear up for a Wonder Woman unlike any you've seen before. We've been scouring every corner of the globe...looking for something...something new...something different...and illustrator Chris Uminga found it. From deep within the world of DC Collectibles Artists Alley comes this DC Artists' Alley Wonder Woman by Chris Uminga Statue that measures about 6 3/4-inches tall.